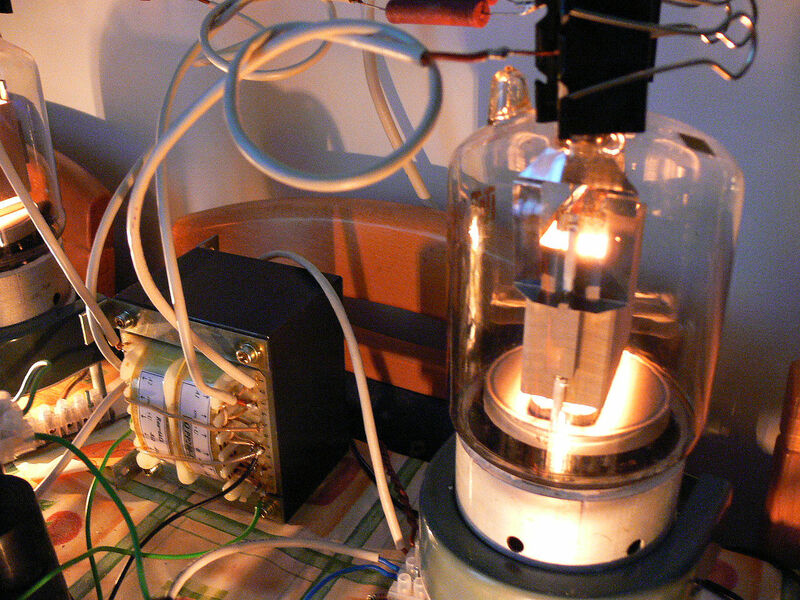 The SINGLE STAGE tube power amplifier. With only ***THREE*** components in the signal path. 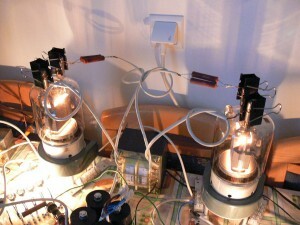 I returned to the concept of the “High Voltage” version of Ultra-Linear, but connected to the Suppressor Grids (S3). The amplification of the single stage tube pair simply skyrocketed. So did the cathode currents. Fortunate that I had those semi-constant current sources on the cathodes, as it would have been a possible run away situation. The Suppressor Grids need an obligatory, anti-melt-down resistor, otherwise the S3 simply glows red, and shortly after disintegrates. Please do not ask me what type of “mode” these, formally speaking, “pentodes” are actually driven in. I suppose that it is something similar to a tetrode, but not quite. It would seem that as a “tetrode”, this configuration should have an area with a messed up anode characteristics. Especially with the “negative resistance” thing, at low anode voltages and high currents. Frankly speaking – I do not see or hear any problems. Maybe the signal swing simply does not reach those areas, or maybe the stabilizing effect of the non-standard auto-bias. Anyways, it seems to work. What I wanted to signal to you is that the amplification of this output stage topology / configuration has risen to such an extent, that a single stage amplifier has become possible. 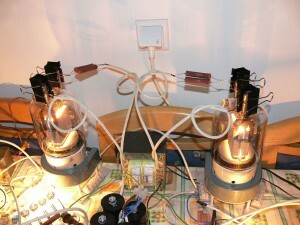 Essentially, an amplifier consisting of a CD player and an OUTPUT STAGE. A simple 1:4 step-up interstage on the input and off you go. After that – it is just the speaker. Just THREE components. A very tempting scenario indeed, as the sound is crystal clear. I do not see any need for such, at this present moment. The sound – crystal clear. Well, obviously, not as crystal clear as in my OTL amplifier. 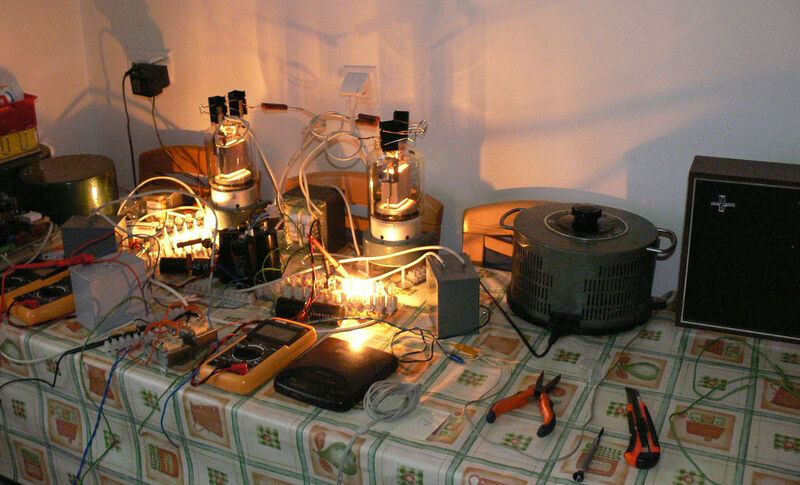 The clarity of output-transformerless solutions is unbeatable, but I believe that within this present, transformer based topology – this is as far as you can go. Or close. 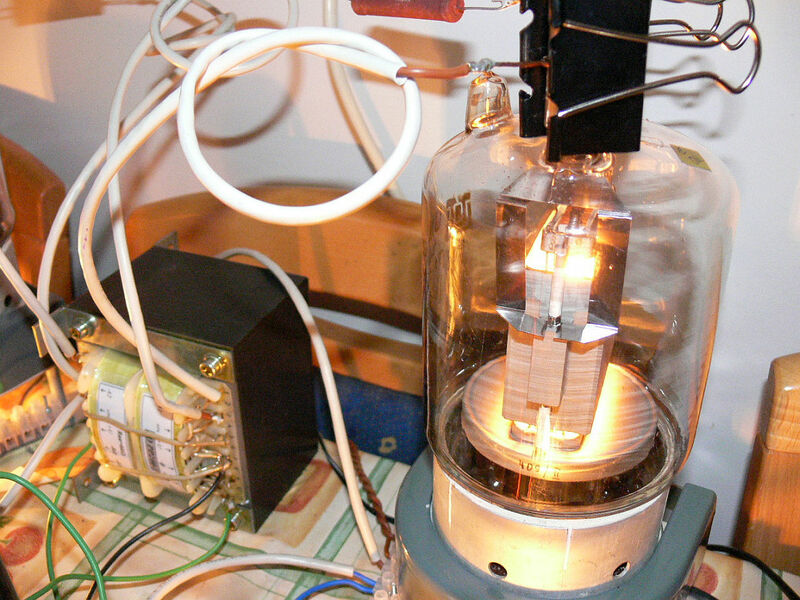 With over 200mA of cathode current running through the tubes, the transformer is warm. The tubes – are glowing red. Make the calculation for yourself. 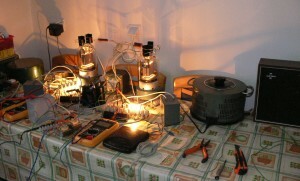 (0,2A X 1500V + 140W filament). The bass – simply to die for. The amount of SLAM simply took me off guard. Amazing. A special Chest-Protector-Vest would be highly advised, as a Lung protection means, to protect the lungs and torso from the bass slam. All this, mind you, with a missing preamplifier, with missing driver stage. Just the freaking output stage. In terms of the sound pressure level achieved from this amplifier-lacking output stage, I would reckon that having a stereo pair of such output stage monoblocks in a room of up to 60m2 would be sufficient to provide a listening volume that would drive the neighbours nuts. The setup is running off some 1500V DC, give or take a few. Screen grid is at a daring 730 V DC, . .. BUT … BUT … BUT …. 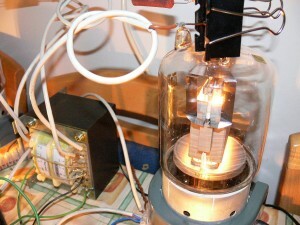 The cathode is elevated by 150V of my crazy auto-bias, so that the 600V limit is not exceeded, albeit close. P.S. Please pardon the controversial “music content” that is being demonstrated. I simply needed to find some lively piece of music with some heavy bass content and slam. I found the Backstreet Boys CD in some old drawer, and I think that It suits it’s purpose, although not my favorite cup of tea … To offset such a faux pas, some other films / pieces, with different kinds of music are also included.